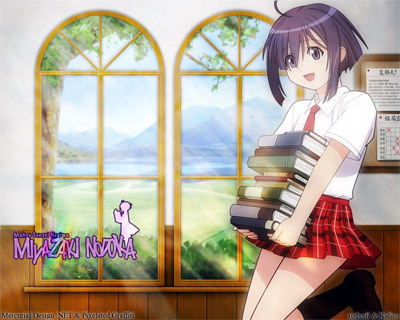 Miyazaki Nodoka arty-wallpapery art-wallpaper from Negima! : Magister Negi Magi. She was the smart, shy one ;). Available as wallpaper at 1024×768, 1280×960 and 1280×1024.